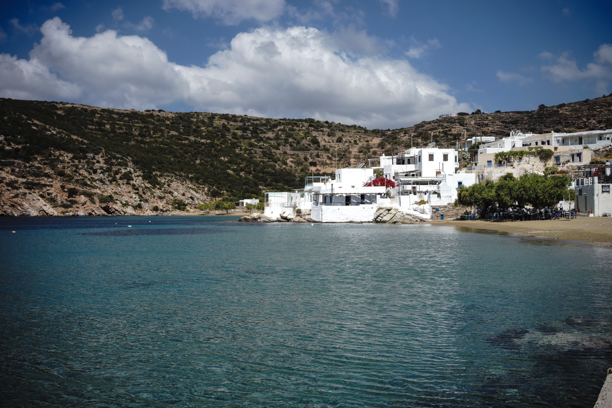 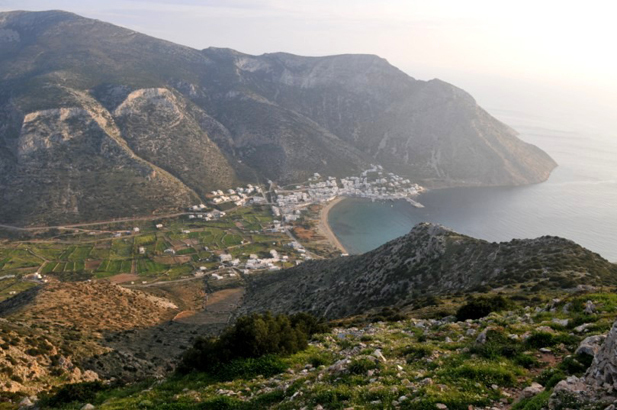 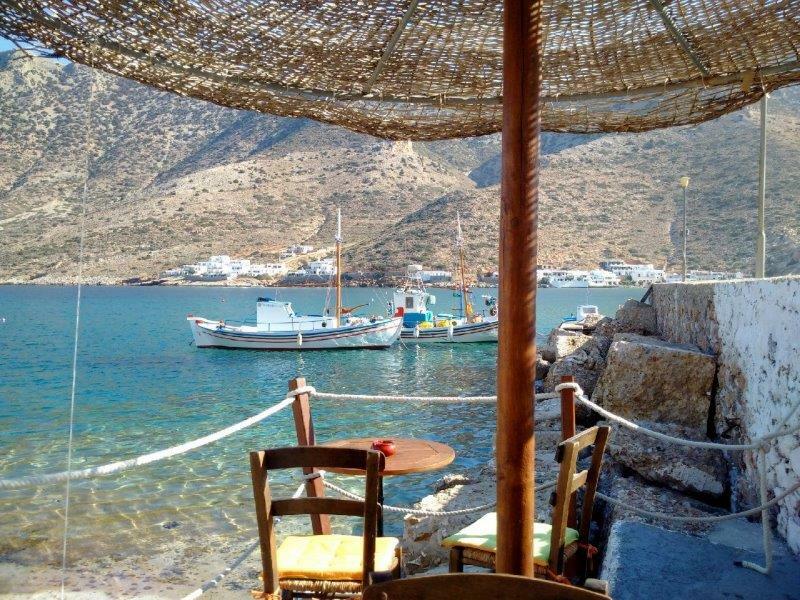 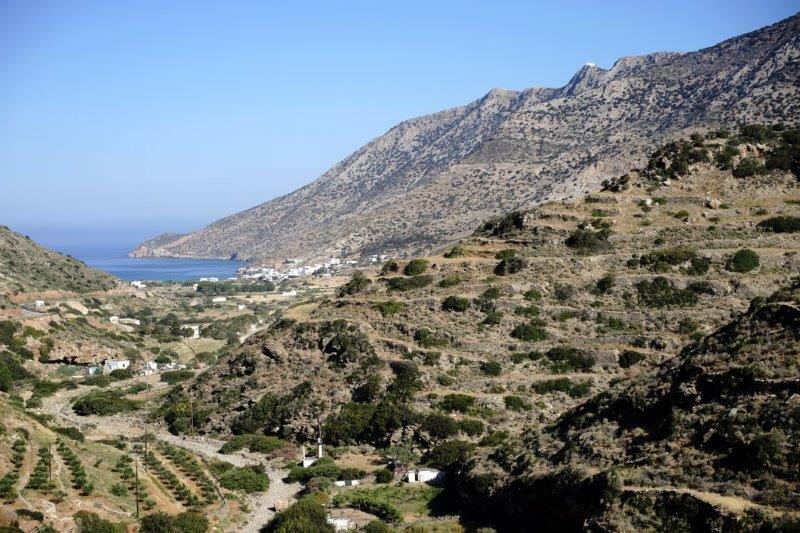 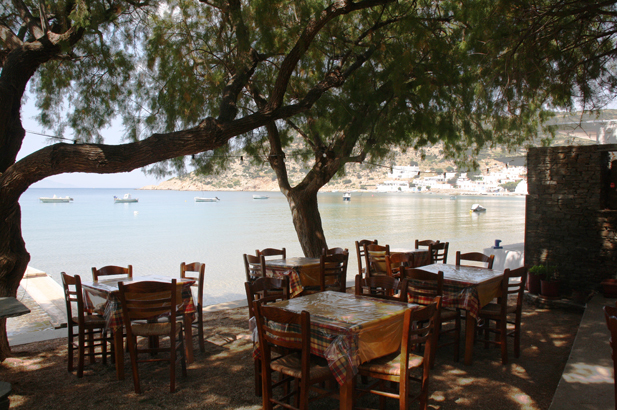 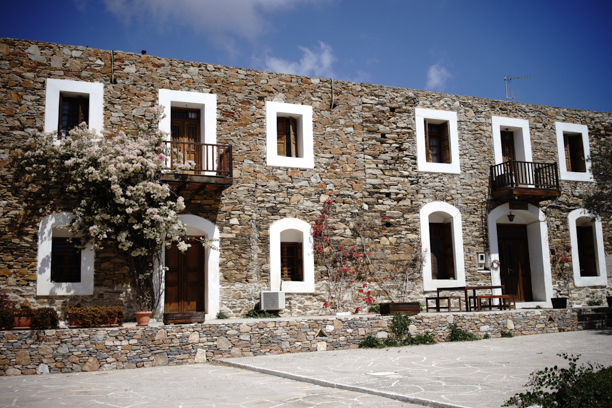 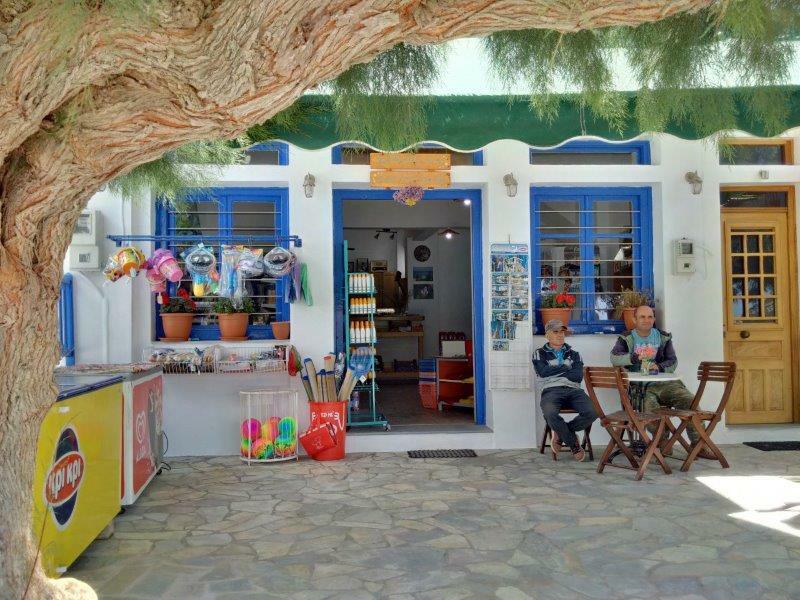 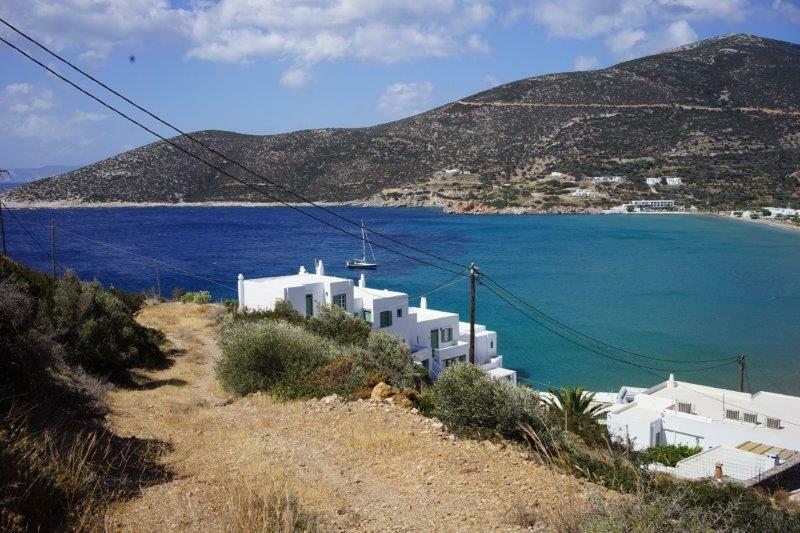 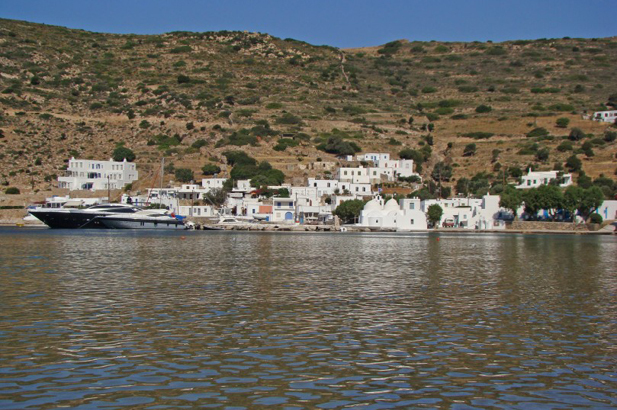 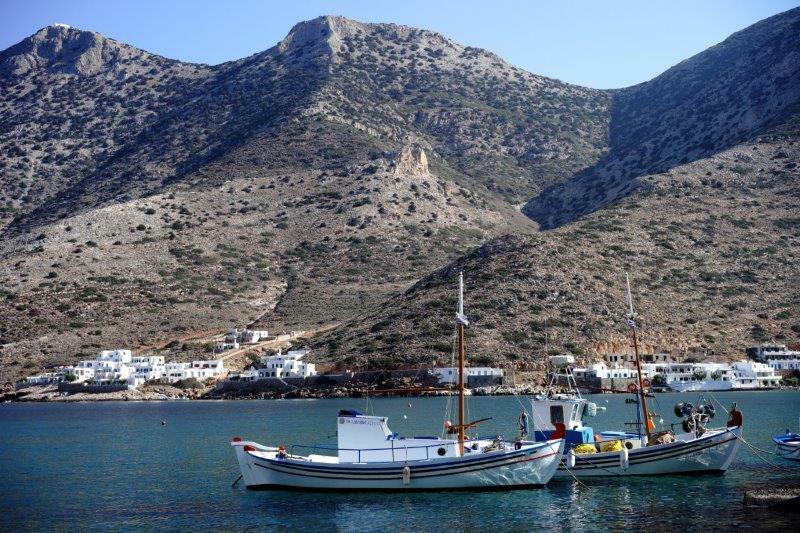 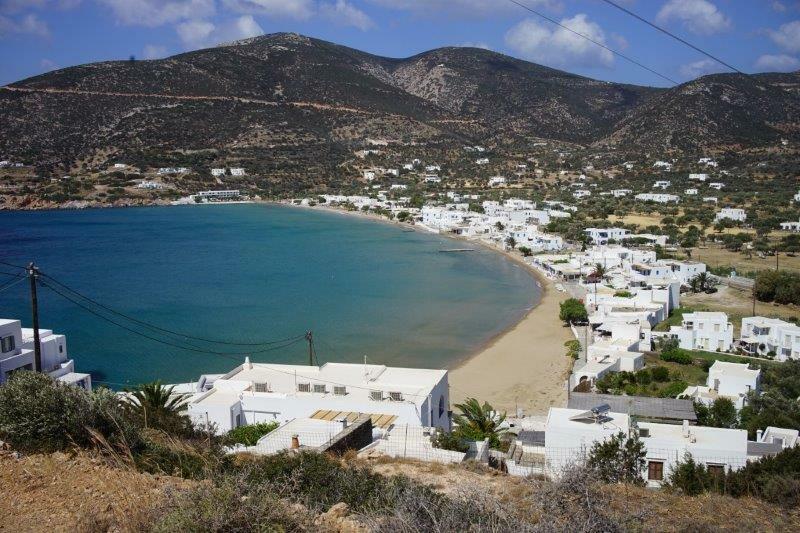 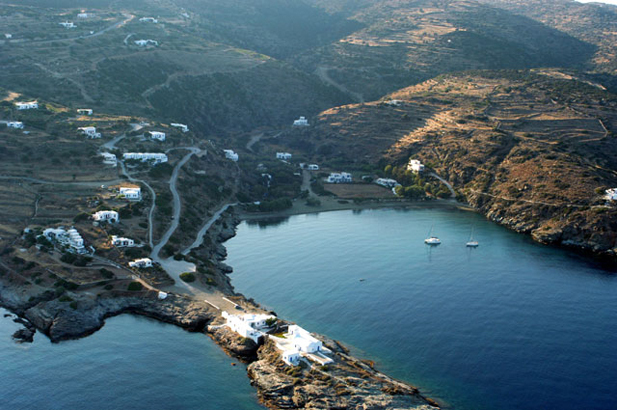 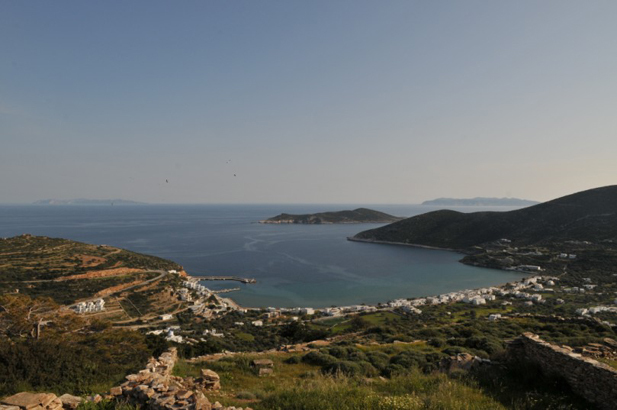 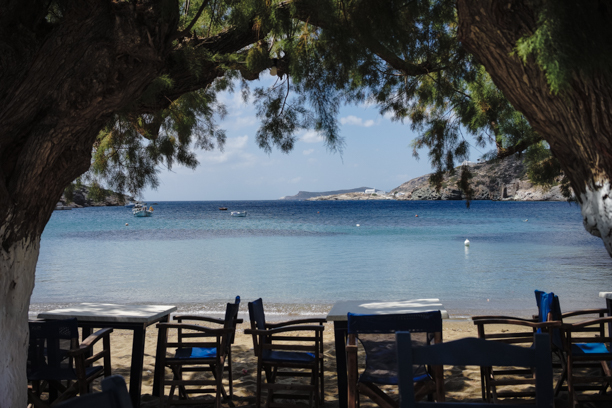 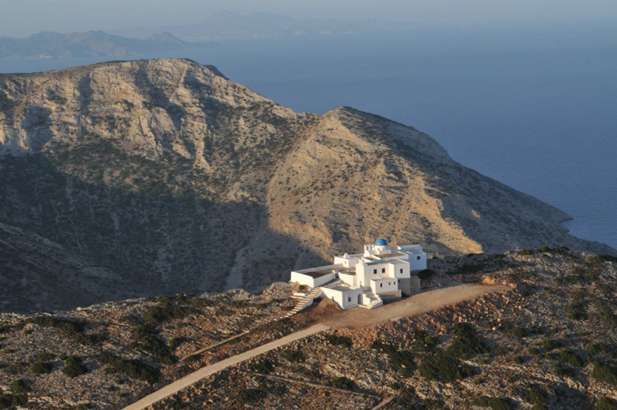 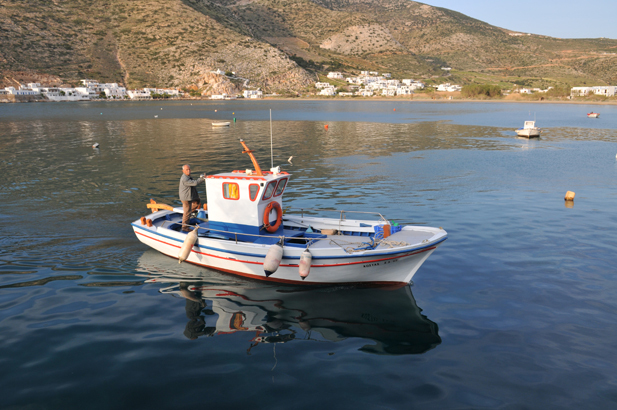 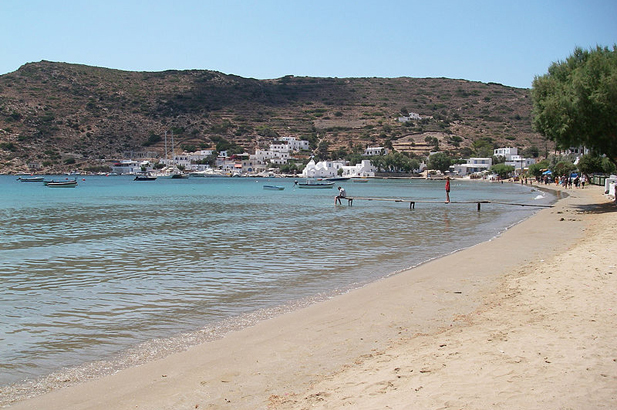 Still with some virgin corners and aspects of old island life for seekers of peace and quiet, combined with high standards of hospitality for cosmopolitan visitors, Sifnos is probably the most popular of the Western Cyclades. 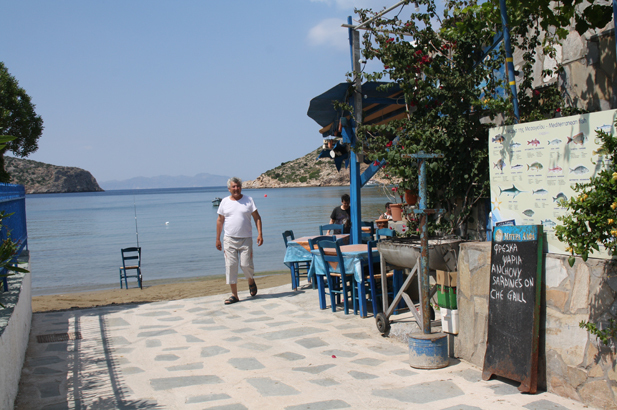 The urban Greek has two questions upon arrival at a new place. 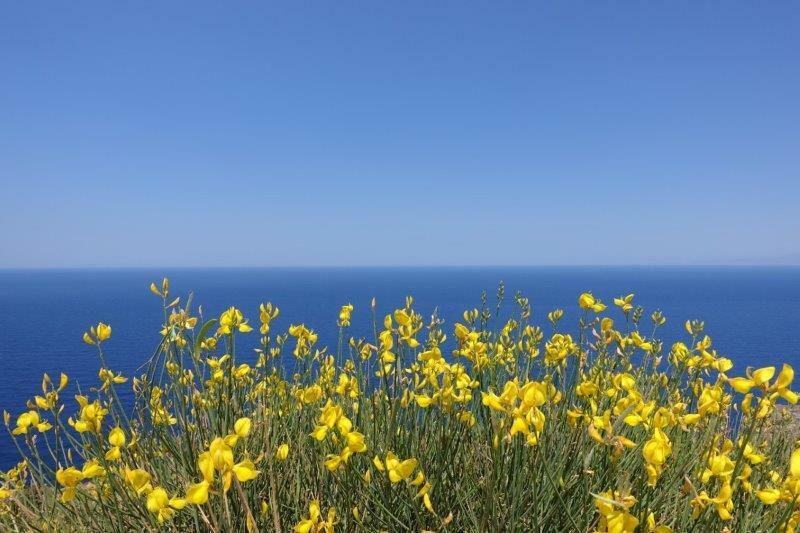 Where do you get honey from? 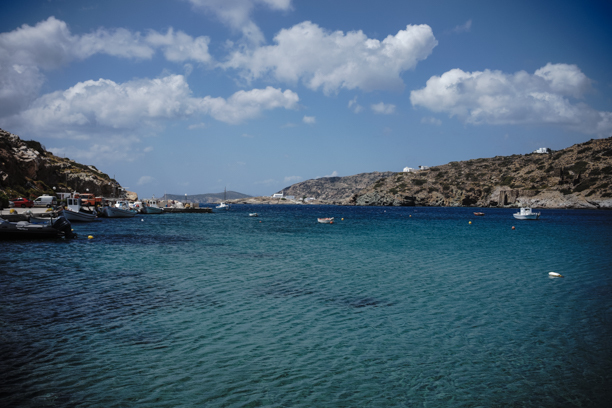 Where do you swim? 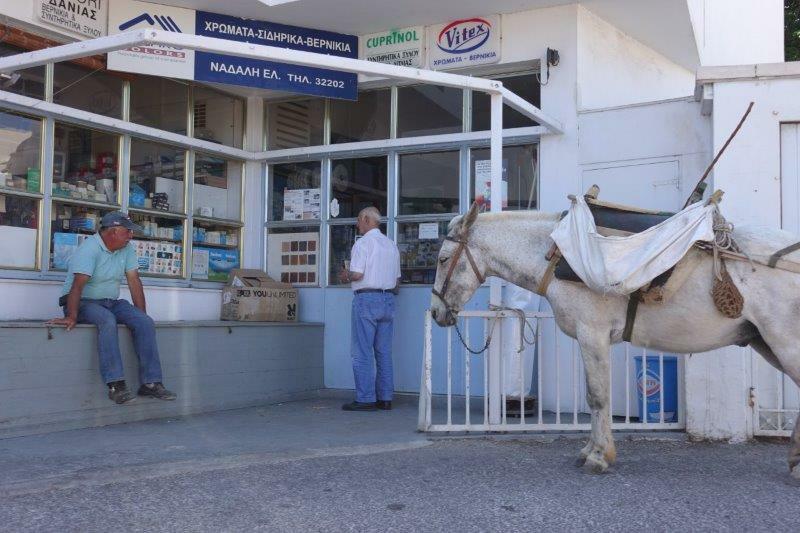 Informed, he now has a claim to be almost a local! 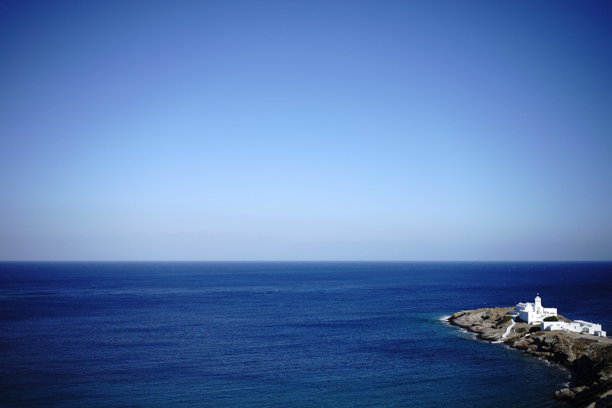 Whatever nationality, you will arrive by sea. 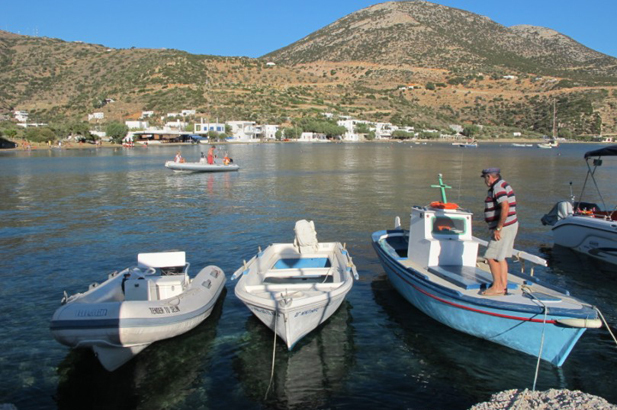 Taxis are lined up at the bustling port of Kamares to whisk you off to your point of destination. 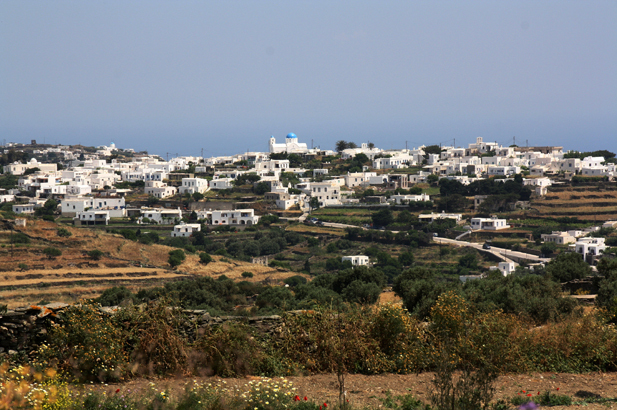 Villages with accommodation lie in the foothills surrounded by olive groves with 60,000 trees. 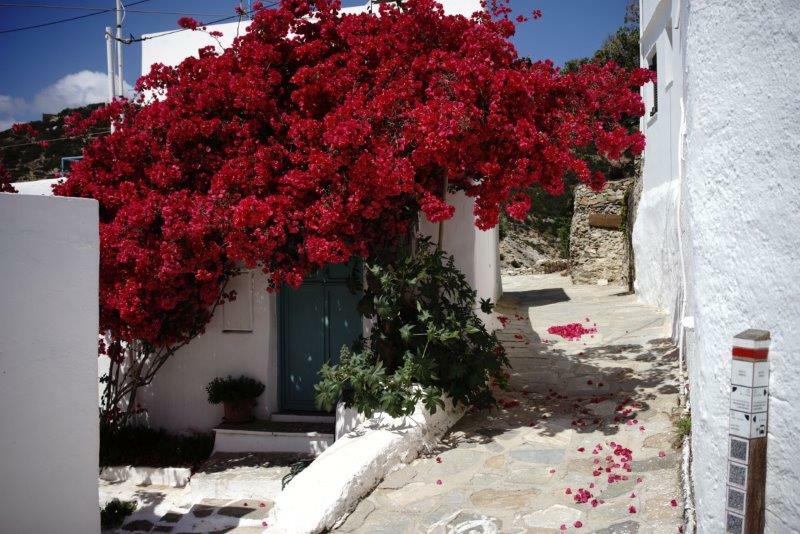 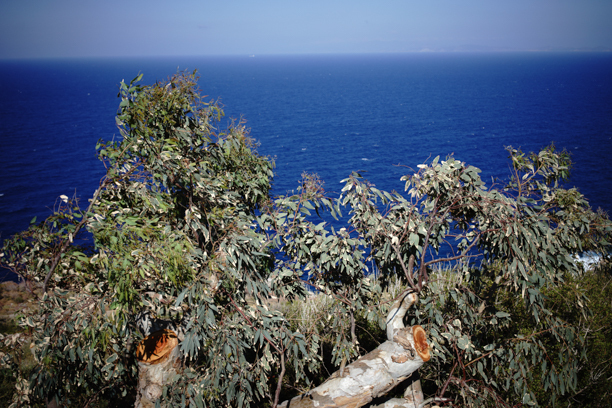 Oleander and wild fig grow in clusters in the ravines, and almond and olive trees thrive – especially in the high valleys. 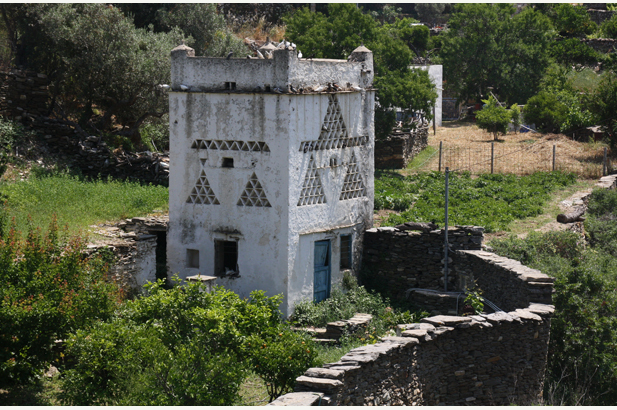 Across the island you see dove-cotes, looking like little castles, where pigeons are fattened for the cooking pot. 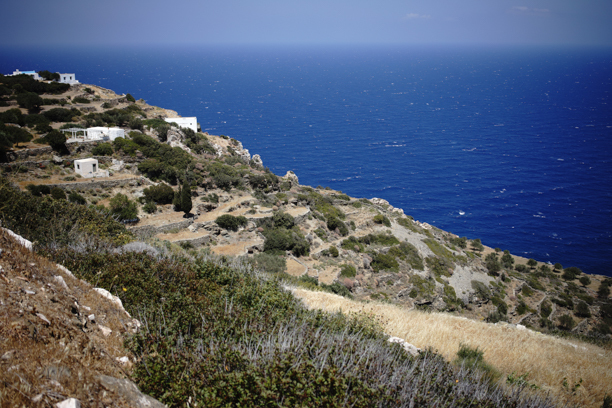 Windmills and half-ruined watchtowers dot the island’s gentle contours. 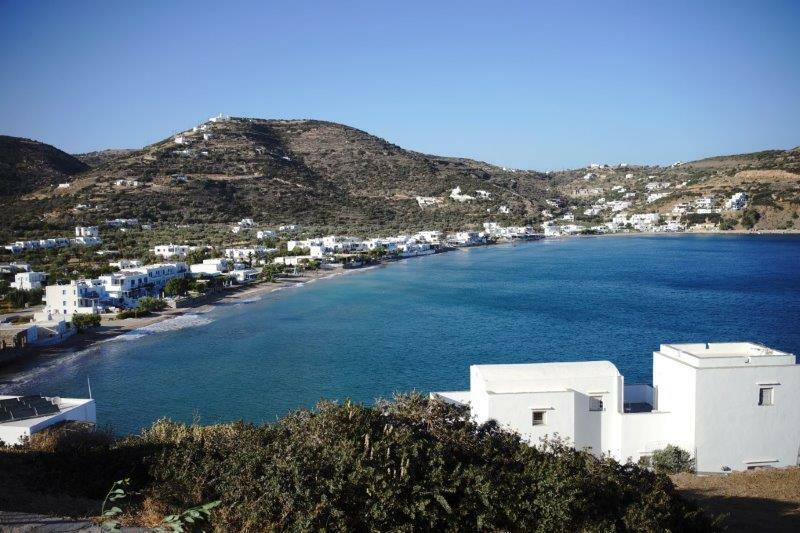 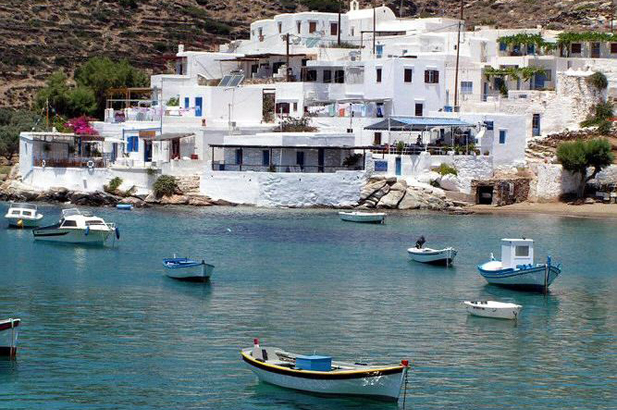 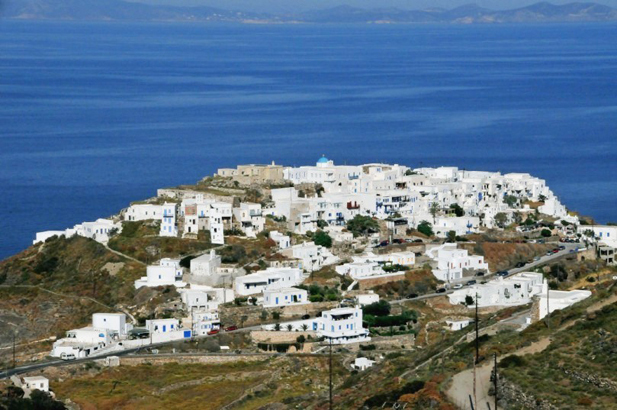 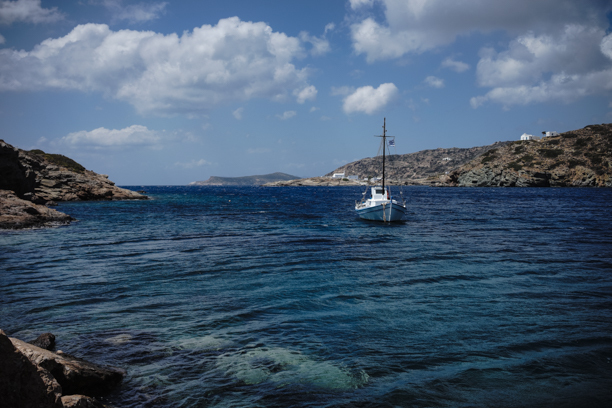 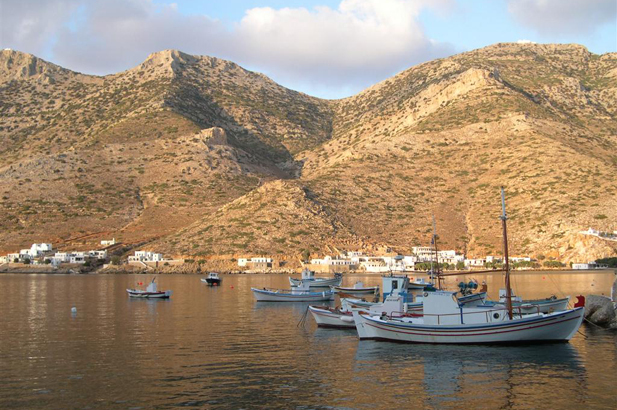 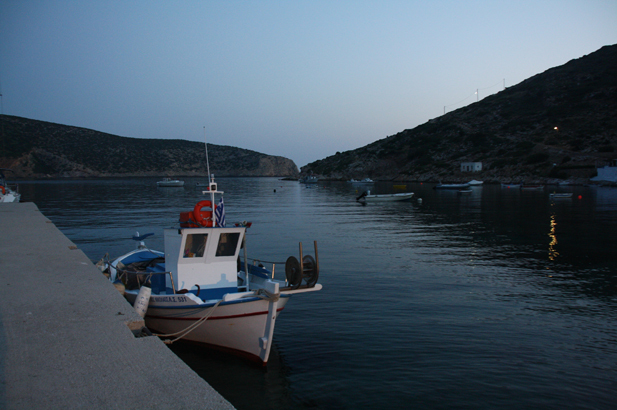 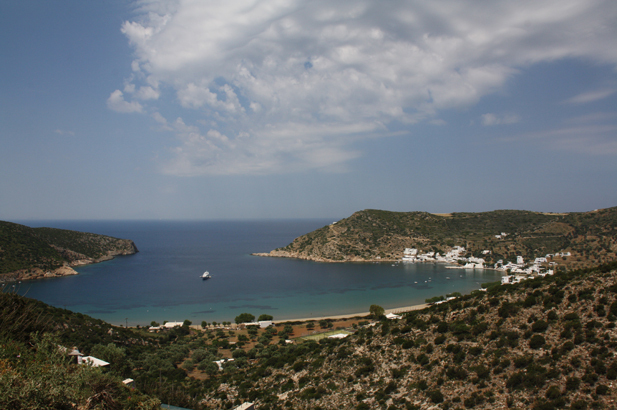 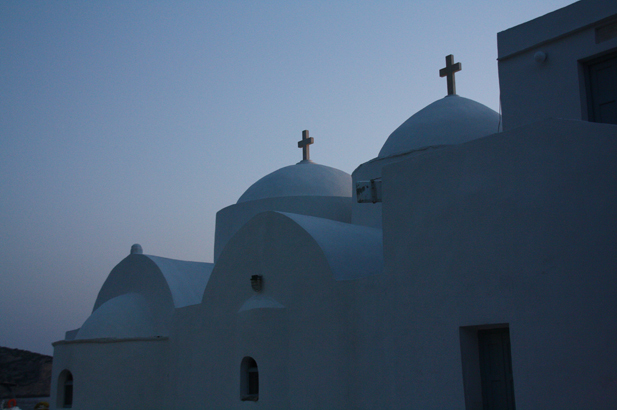 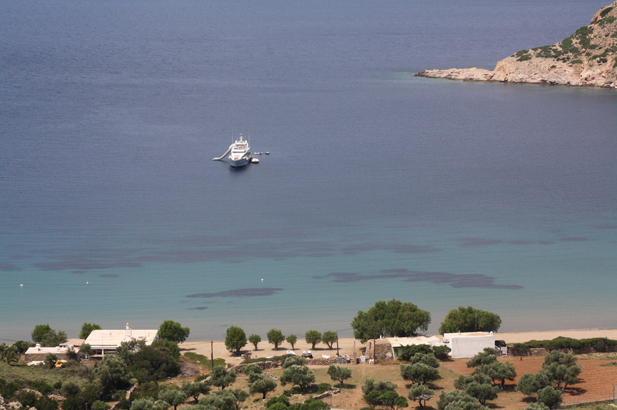 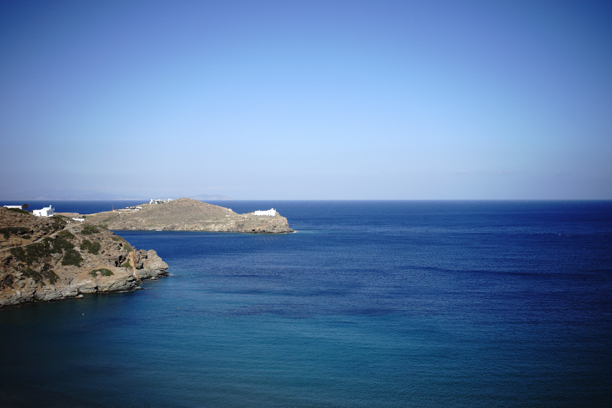 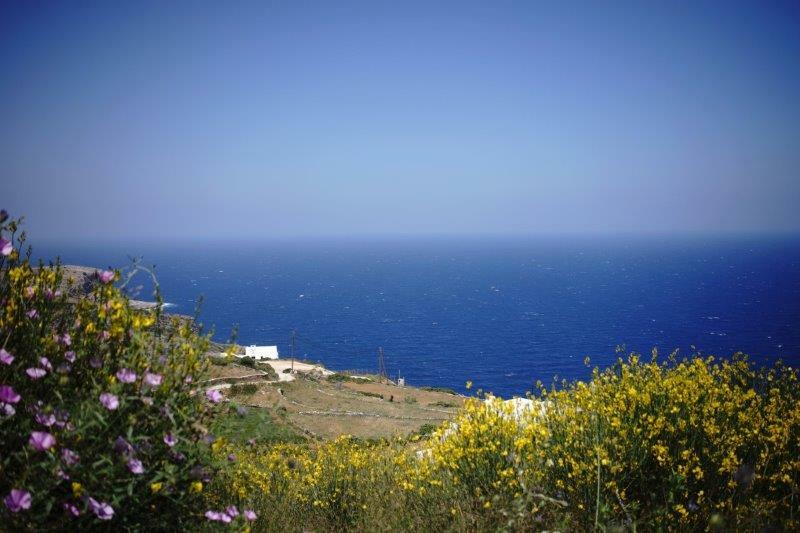 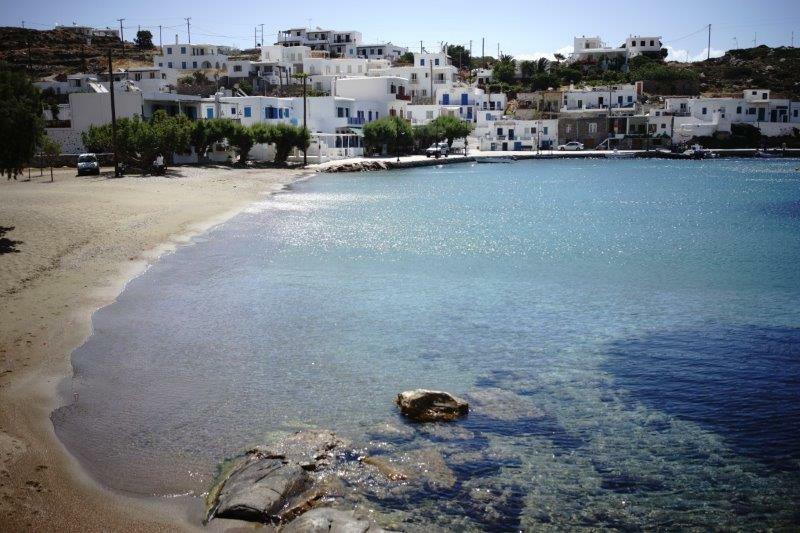 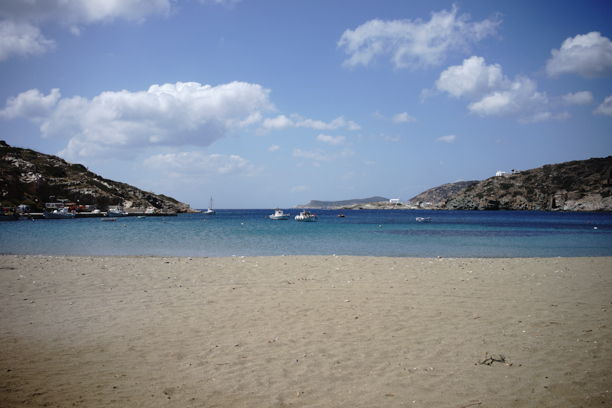 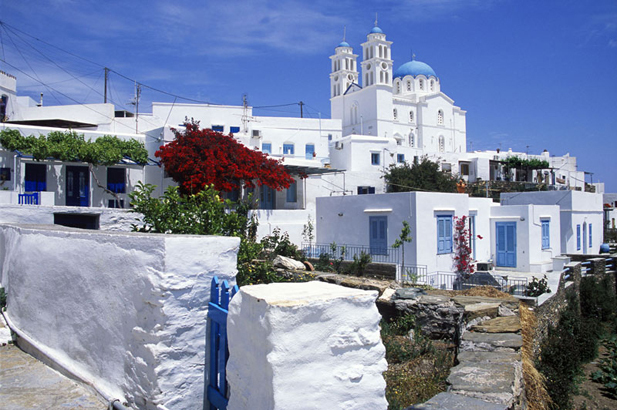 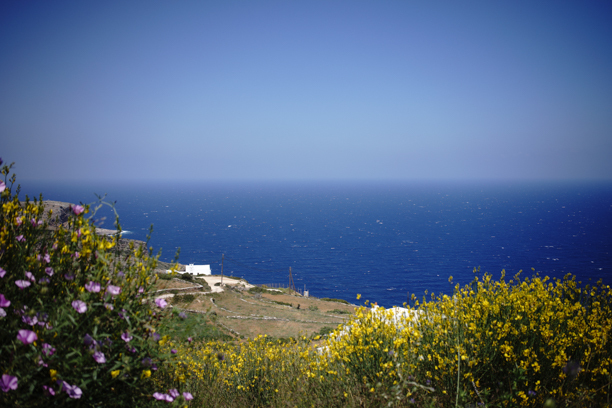 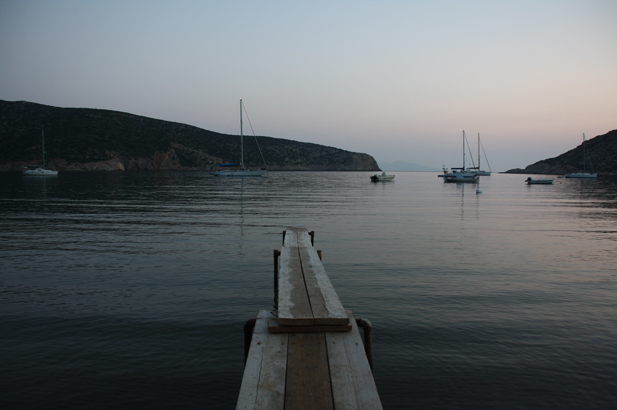 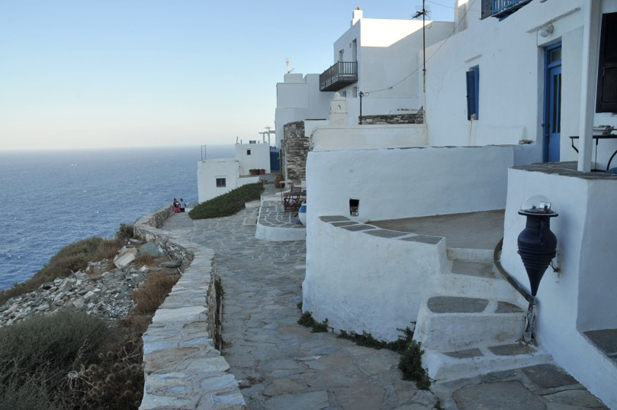 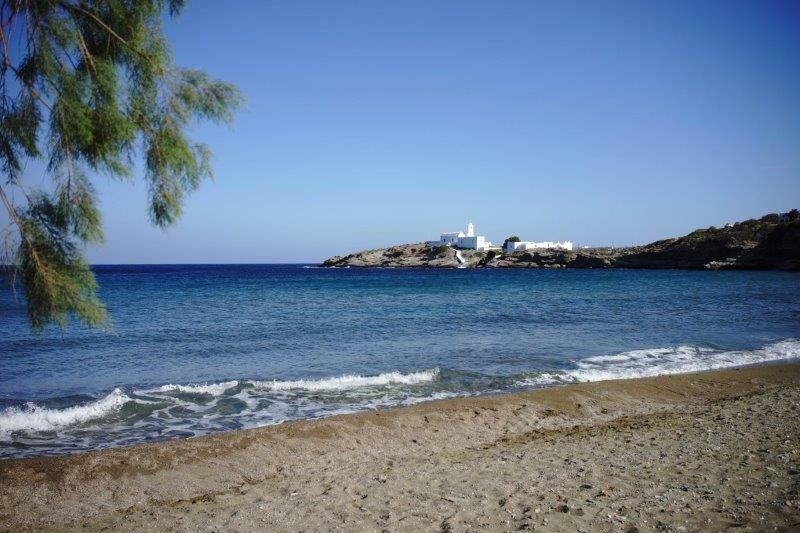 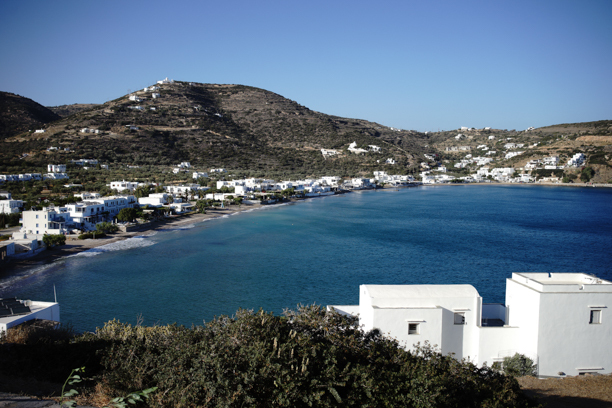 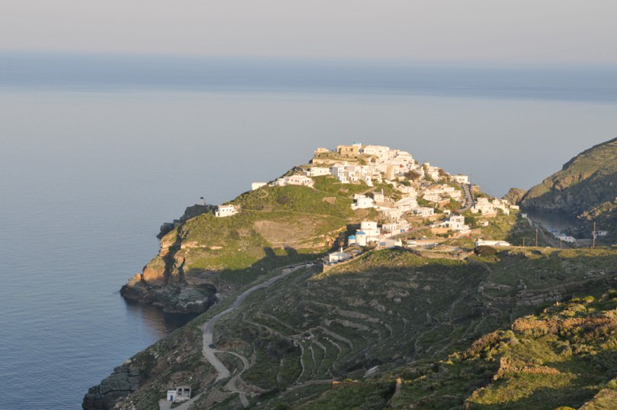 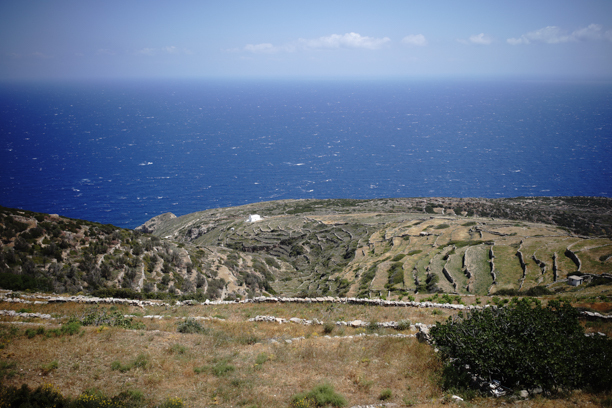 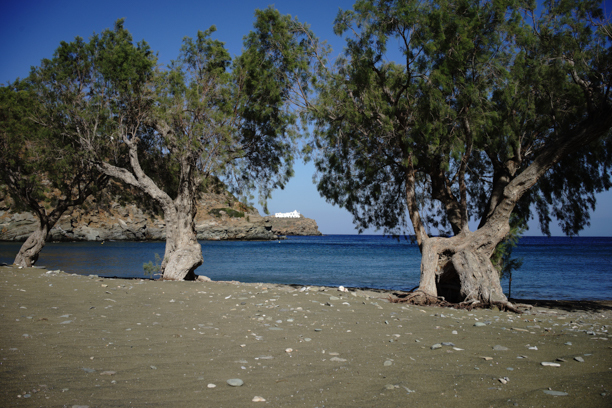 Sifnos has soft white light, not the blinding white dazzle of, say, Santorini, Mykonos, or Paros. 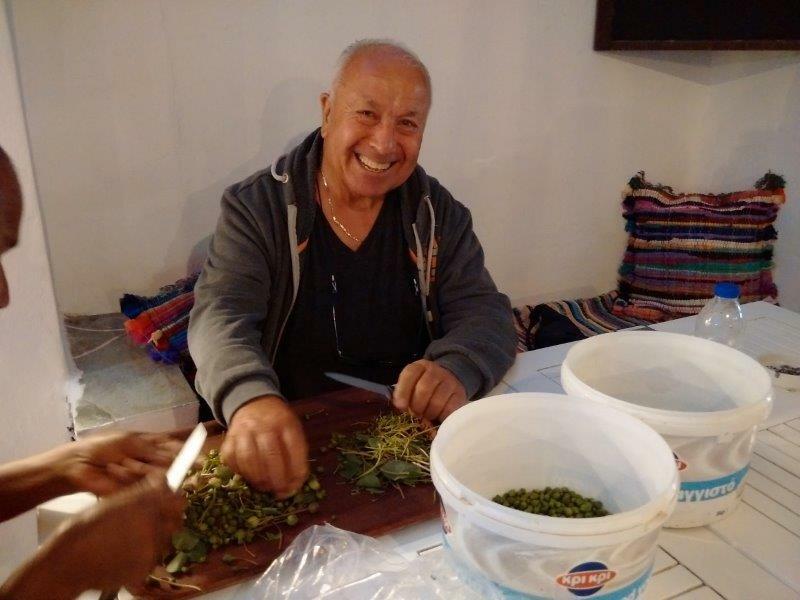 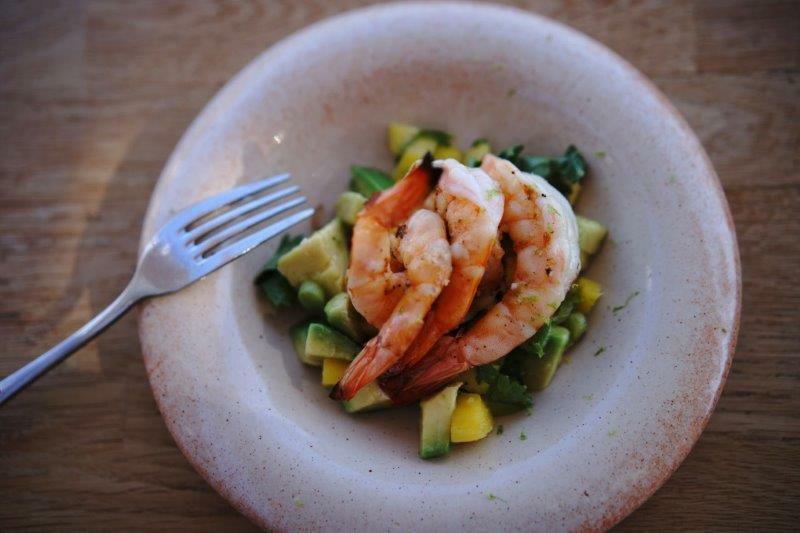 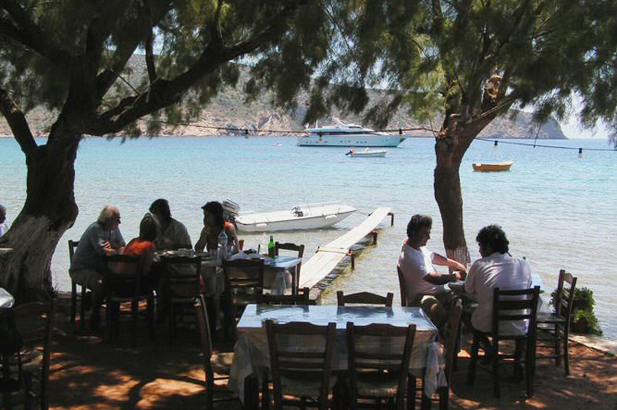 The best Greek chefs are Sifnaians. 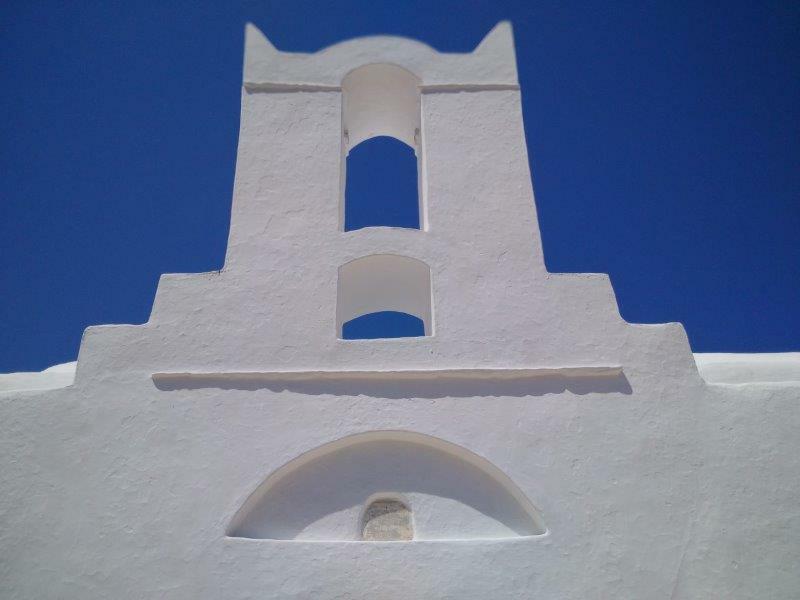 Straw hats in the Italian style were a la mode as a flourishing business till not so long ago (maybe Vivienne Westwood would like to renew the patents?) 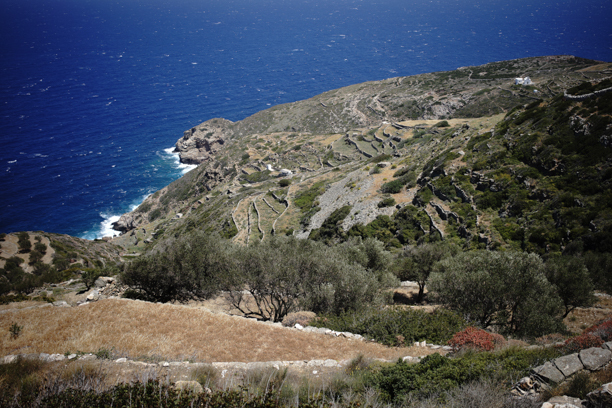 An 18th century physician and botanist to the King of France observed the longevity of these islanders – he found men as old as 120. 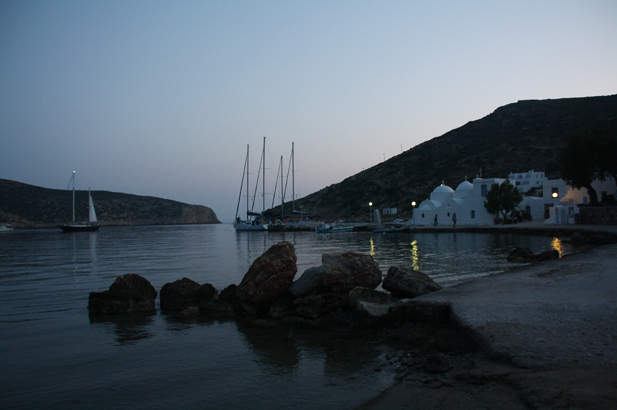 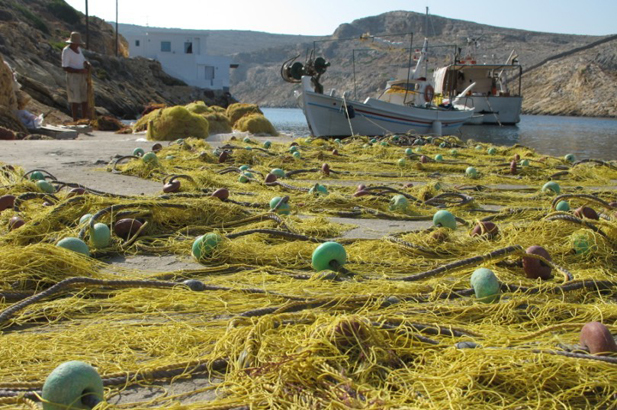 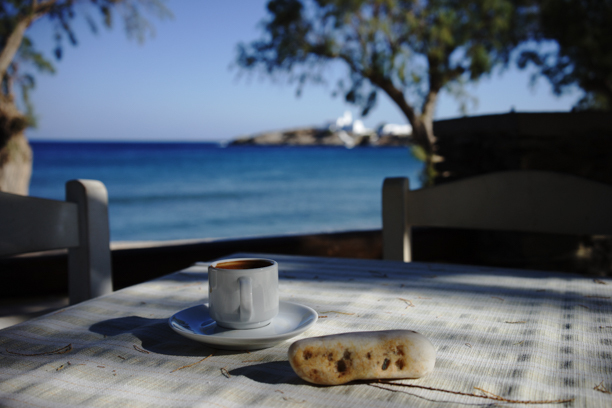 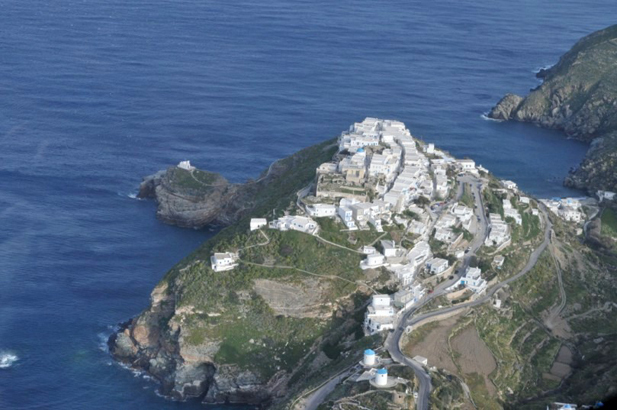 Long live Sifnos! 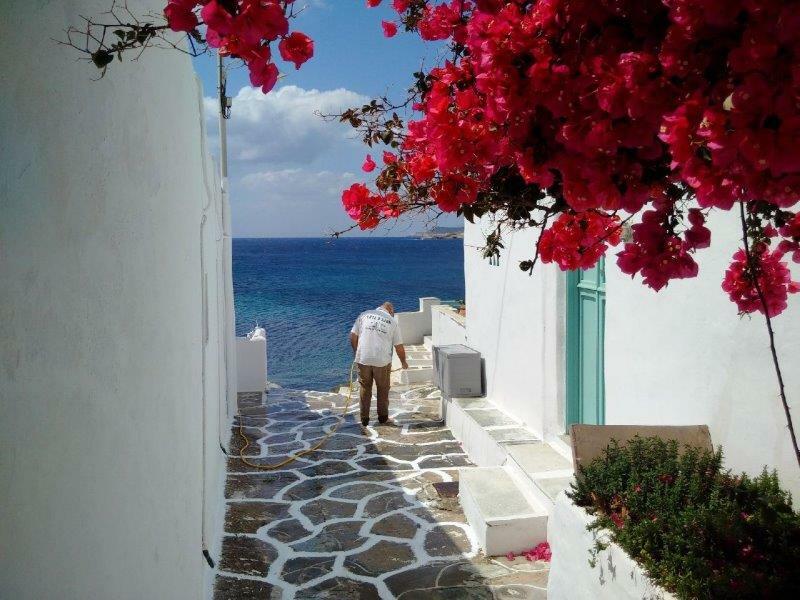 Those who look for quality of life. 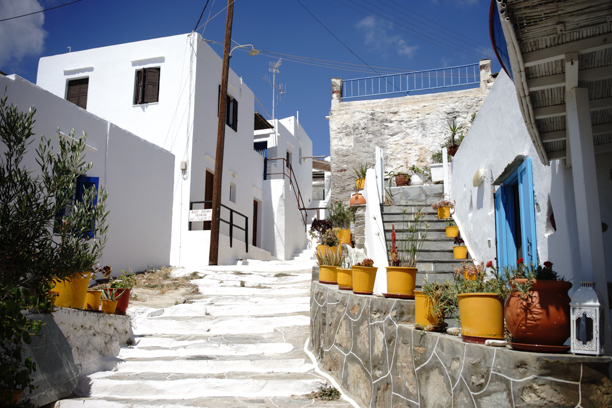 The island is well cared for, tended and spotless. 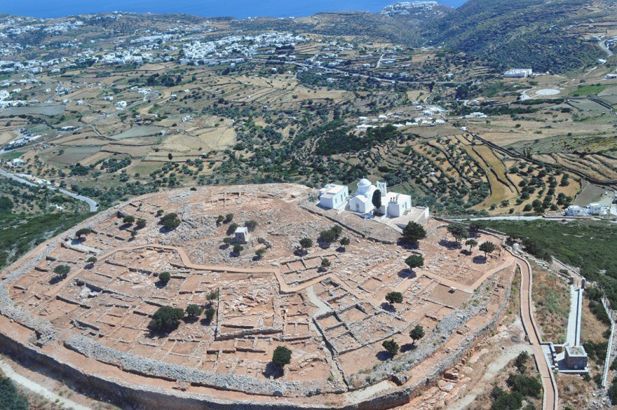 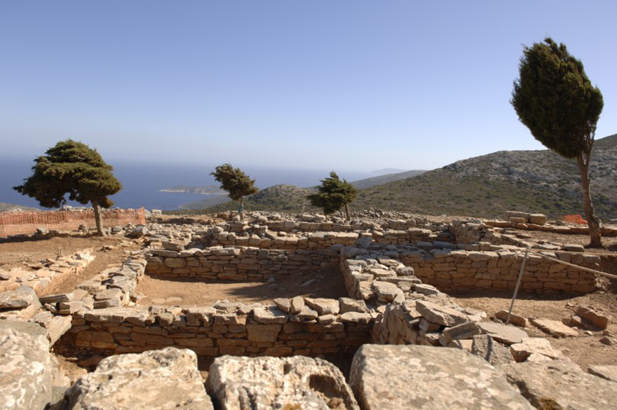 It is full of evidence of historical activities - the ancient gold and silver mines that made the island so rich that it even had a treasury at Delphi from 535 BC, as well as political cultural and gastronomical activities, towers for smoke-signal warnings of approaching pirates, double-headed eagle inscriptions, mansions of old families. 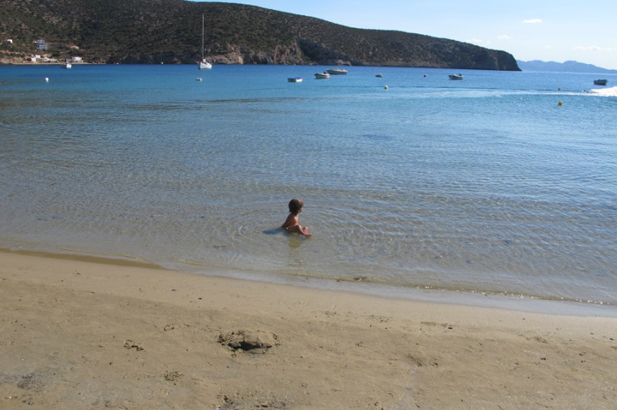 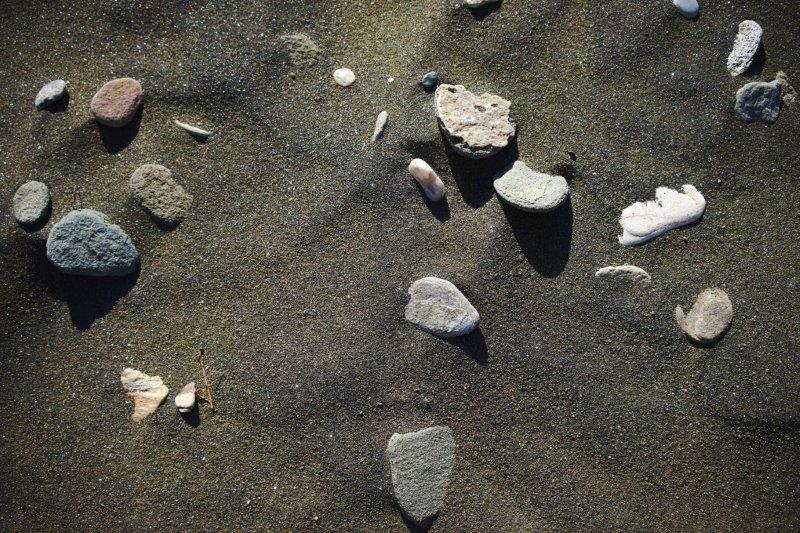 And long sandy beaches, and swimming from smooth rocks. 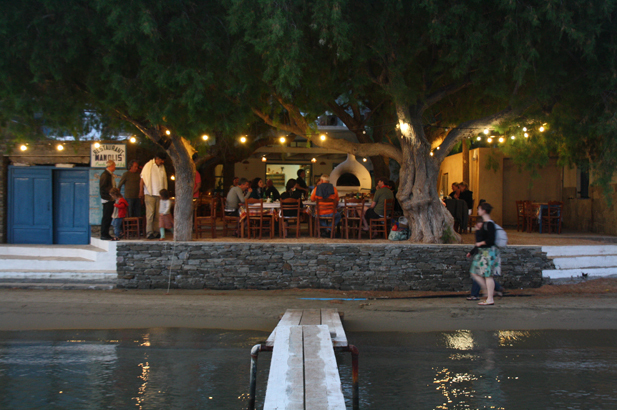 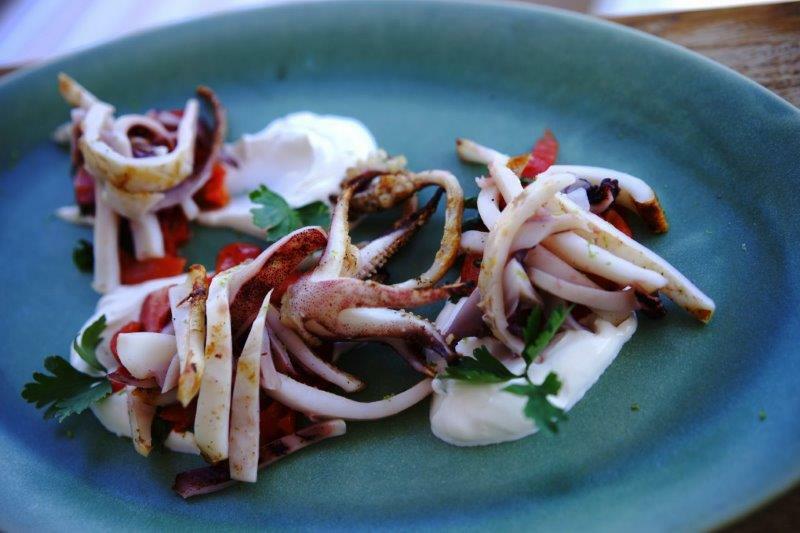 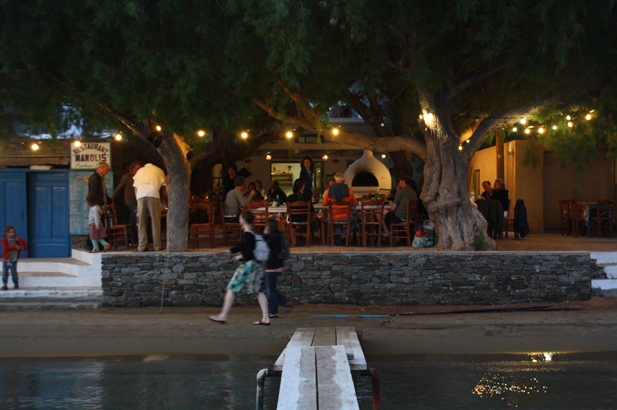 Try Chrissopigi, Plati Yialos, Faros & Vathi. 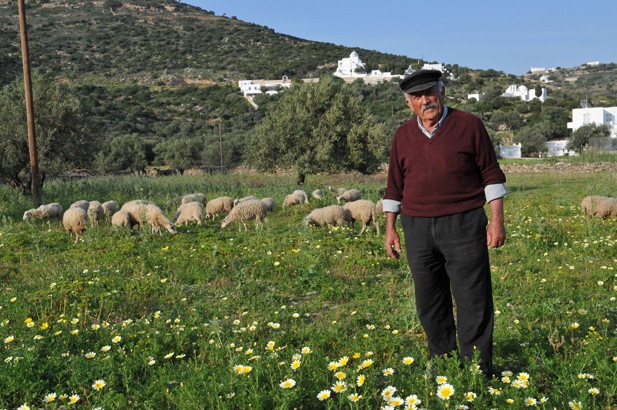 Those who stick to their own national food and diets. 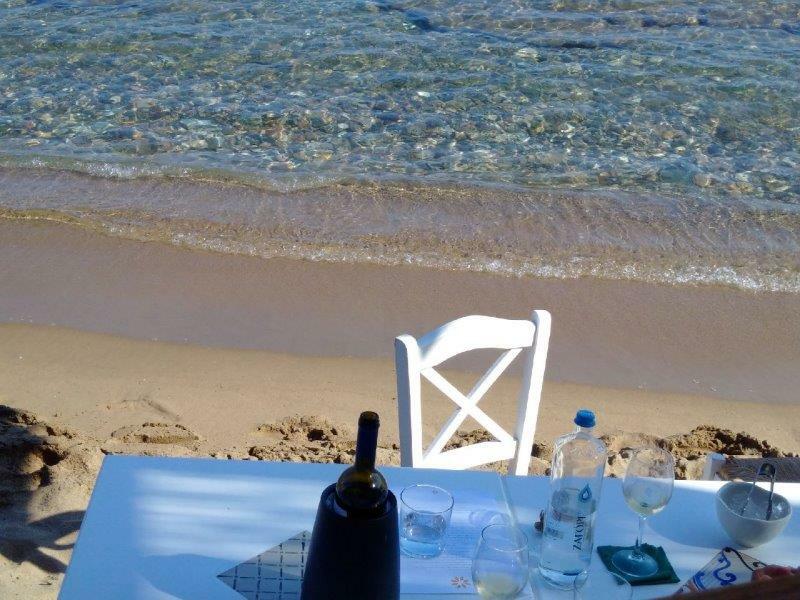 Small groups of friends who want a glorious mix of summer in Greece by the waters edge, with a choice of swimming destinations, spots for sundowners, magnificent photo-opportunities and dancing under the stars. 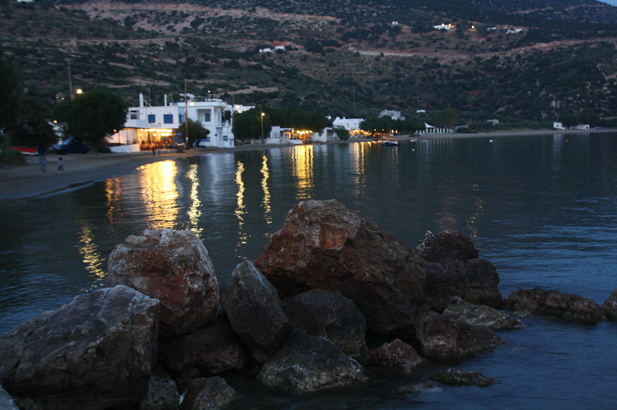 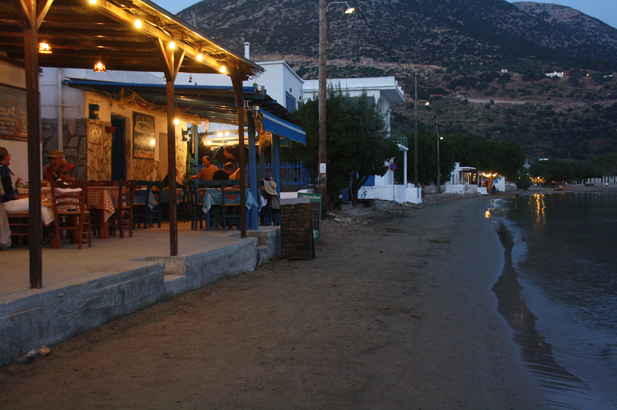 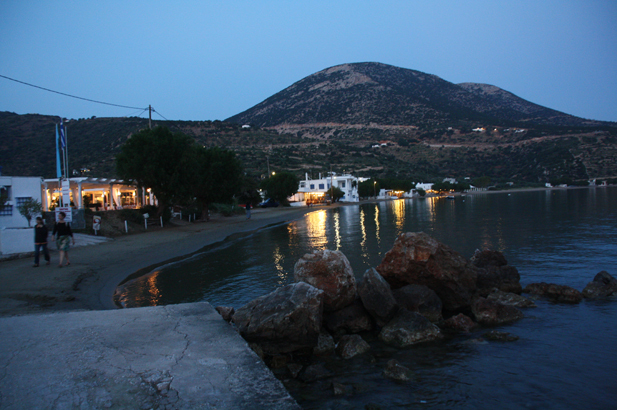 Kastro hosts the night scene. 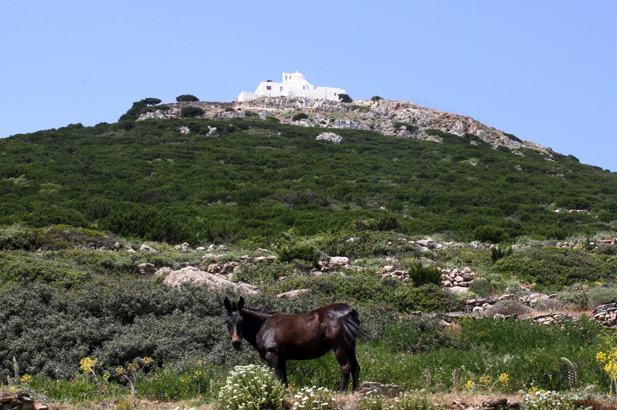 Those who are a bit infirm and shaky on their pins who would find it painful to explore the medieval Kastro. 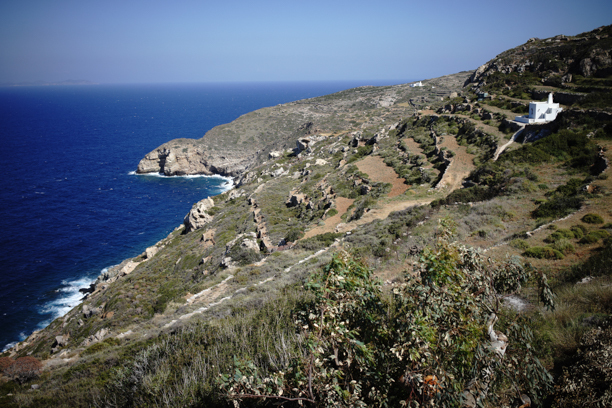 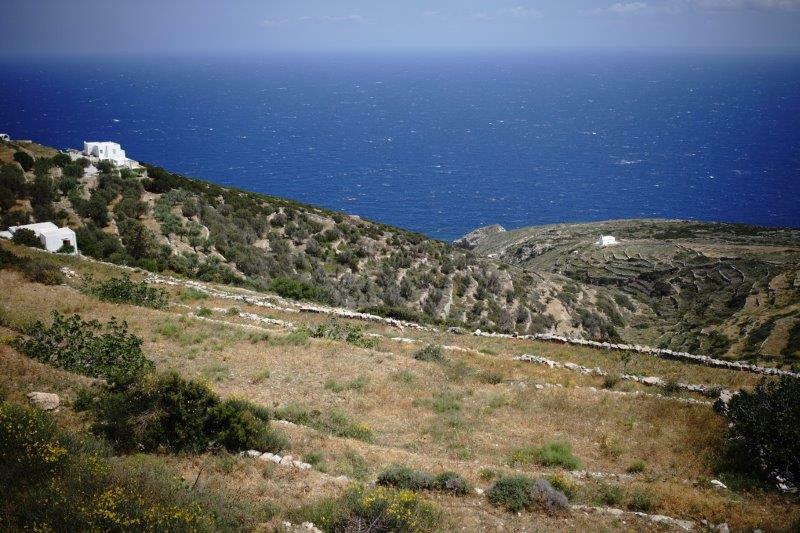 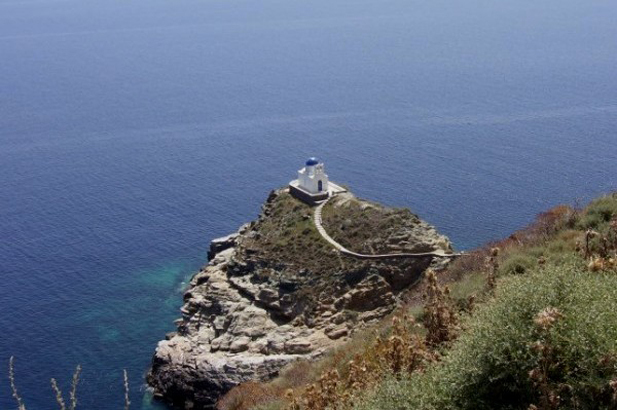 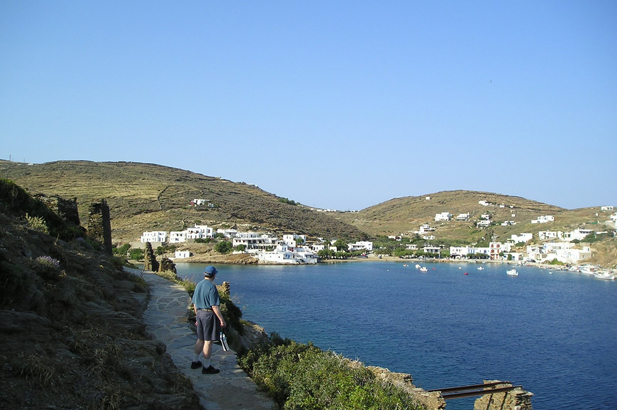 Sifnos - Footpaths of the gods. 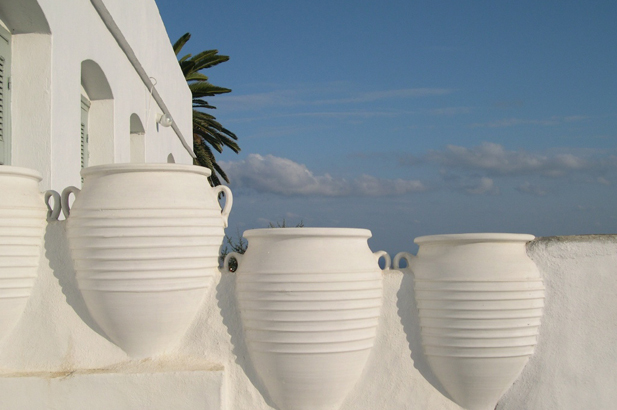 Watching an expert potter fashion the earthenware casserole that will be a mainstay in your kitchen for years. 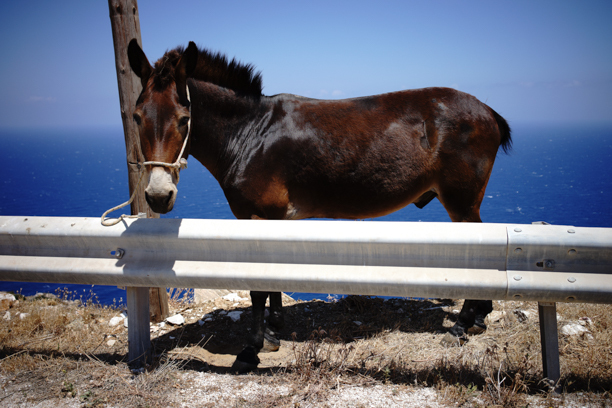 (Mine has held so many hotpots of hare, game and beef stews and was made in 1990!) Yachts make port of call at many coves and inlets. 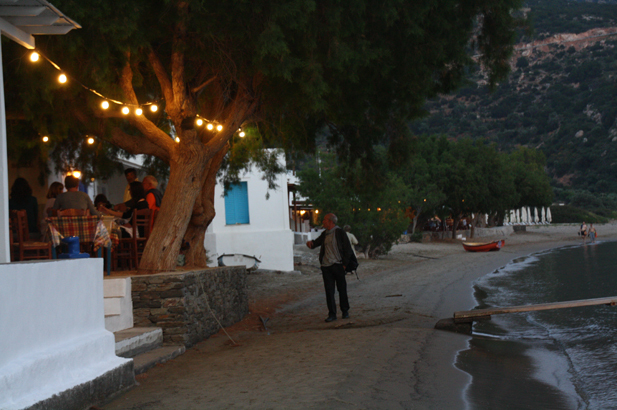 The island is jam-packed with people, but they usually seem fairly inconspicuous. 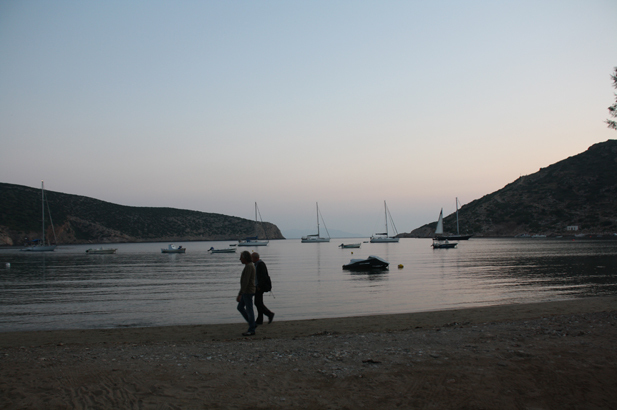 Time to walk and explore in balmy days with hardly anyone else to spoil your solitude. 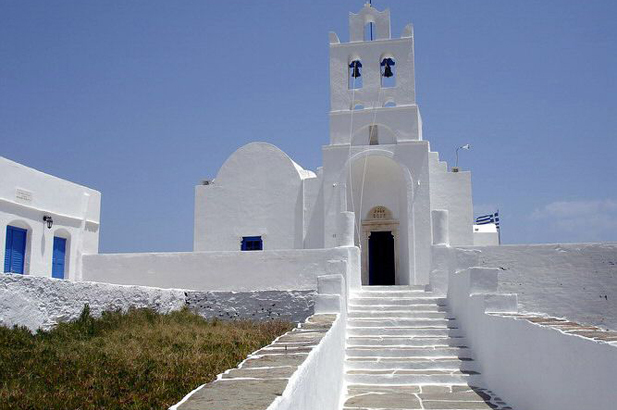 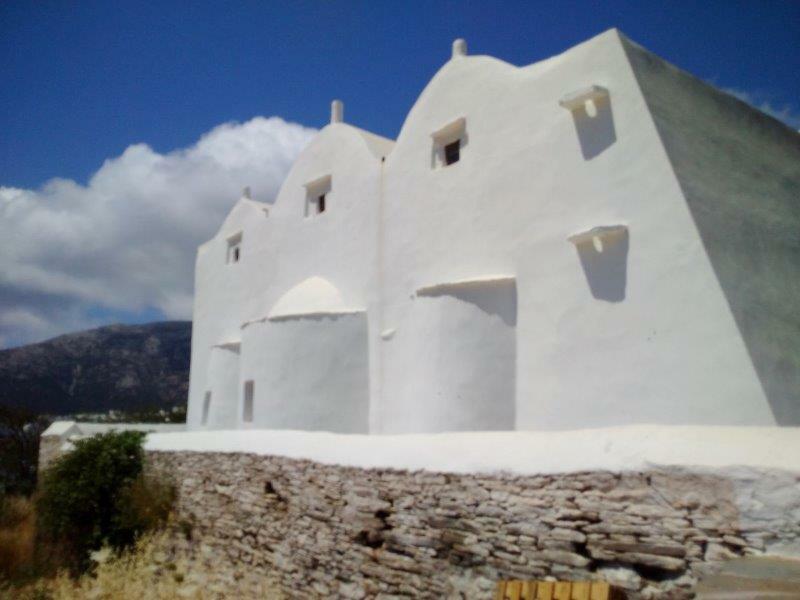 Try the walk to Pano Petali for panoramas, old mansions and whitewashed churches in the fields. 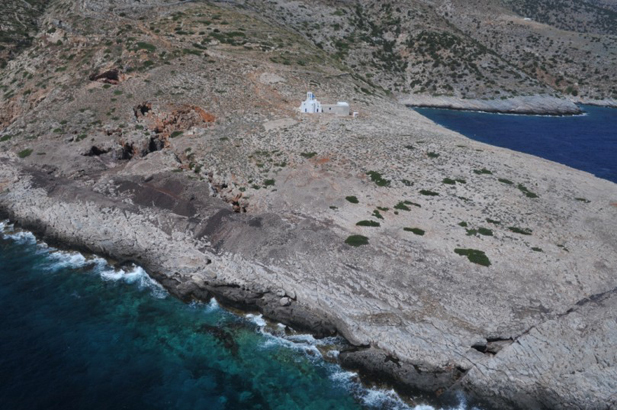 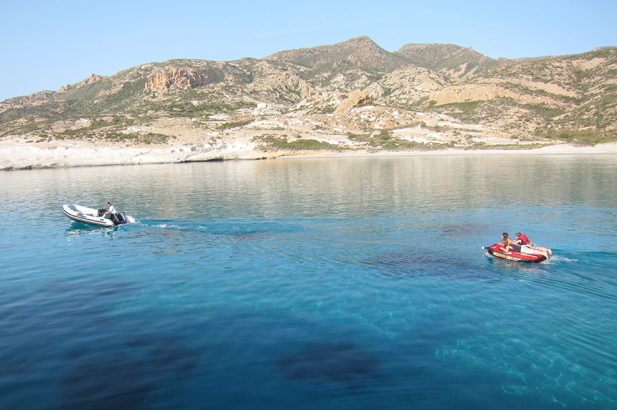 Or to the exquisite little blue-domed chapel of Panayia Poulati, above crystalline waters to dive into. 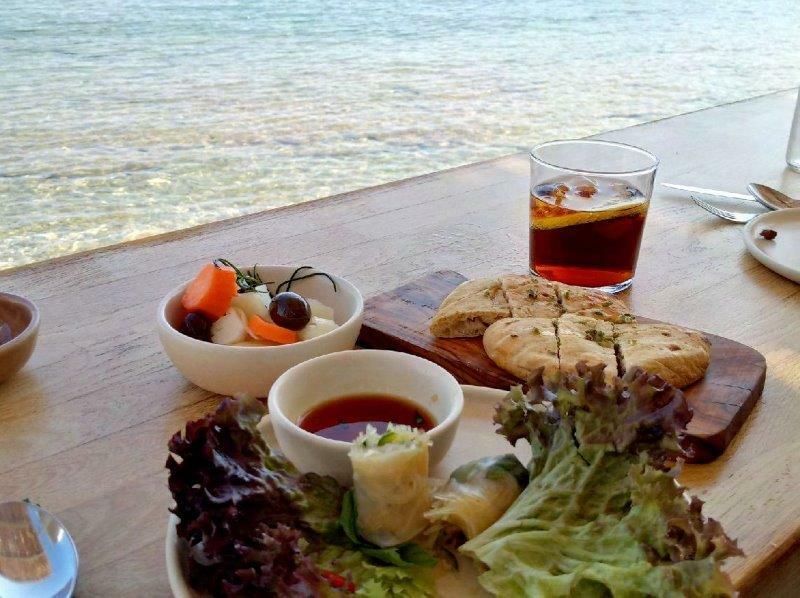 This is the time to purchase the new honey, almonds and olives, and drink the new wine.